The New Coach Coat: The Handbag Giant Surprises With OuterwearA nice stealthy move for Stuart Vevers’s debut collection. Della Valle Delays Schiaparelli Until JanuaryMore time to find a new designer! Restaurant Girl Gets a MakeoverDanyelle Freeman’s site relaunches. TIME Style & Design Relaunches; Emily Blunt Bags First CoverWelcome back to the magazine world. Reebok Plans to Bring Their ‘Toning Shoes’ BackThey’re not going to let little things like FTC settlements get in the way. 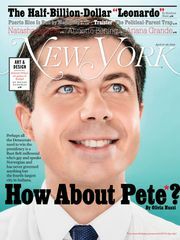 Tale of the Tape: The New Newsweek vs. the New New York Times MagazineHow do the new versions of the two storied newsmagazines match up?